At first it seemed like it would be a cheap, easy way to see whether I could be a productive person while spending time in a foreign country. Then the car rental got involved ($80/day, most of which is revealed once you get there), then it turns out there’s not really all that much to do there and the Internet is sometimes flaky. Also, my Spanish isn’t very good. But anyway. Here are a bunch of photos in chronological order to keep you guessing. Or not guessing. The flight down was surprisingly easy and cheap, flying Southwest all the way by way of Houston-Hobby. Unfortunately, Southwest wouldn’t sell me a ticket from OKC to San Jose, so I ended up flying into Liberia, which meant I had about a 3.5-hour drive to get to the central highlands town of Athenas, where I was staying. Made it just at the onset of dusk, which was a good thing as otherwise there are no street lights once you get off one of the two highways (which is still one more than Canada has). I don’t have any photos of that drive. I only got lost once. They don’t do road signs there sometimes. And they have a lot of slow, underpowered trucks on curvy, hilly two-lane roads. So: turns out that most of the exciting animals I saw, I saw in this zoo on the first full day I was there. OTOH, as they say, “hell is other monkeys”. 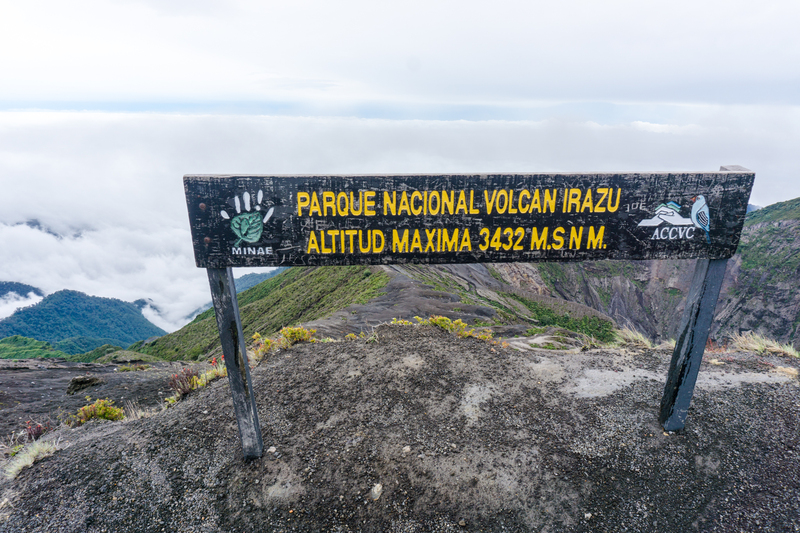 The next day I went to Nacional Parque Volcán Poas. There were a lot of clouds and a lot of people. There’s a hiking trail there that takes you into the crater. That hiking trail was closed. It costs $25 to enter the national park, which, after closing the one trail, amounts to a parking lot, a mile of an asphalt trail, a viewpoint (to which the asphalt brings you), and a gift shop. 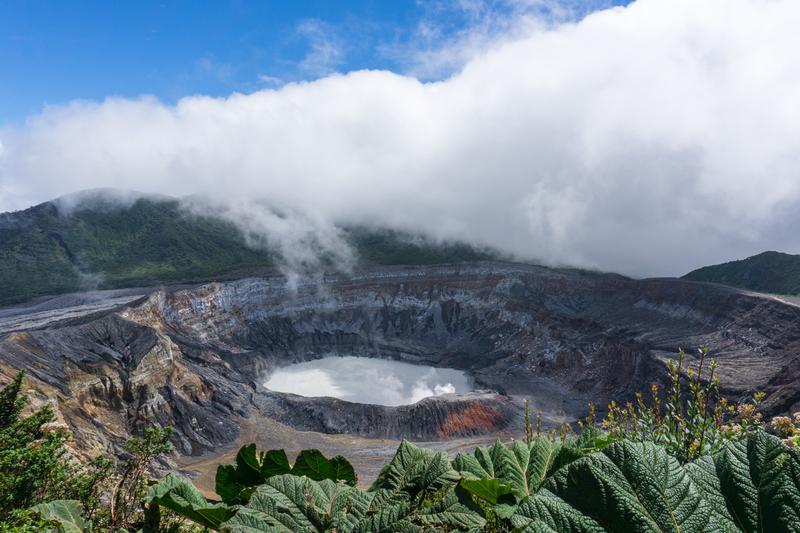 Also, the crater is usually socked in with clouds. It took a half-hour of waiting to get a picture this clear. Then I went down to the gift store, found nothing I wanted to buy (do I really associate Costa Rica with wood carvings? with what real souvenirs *do* I associate Costa Rica? 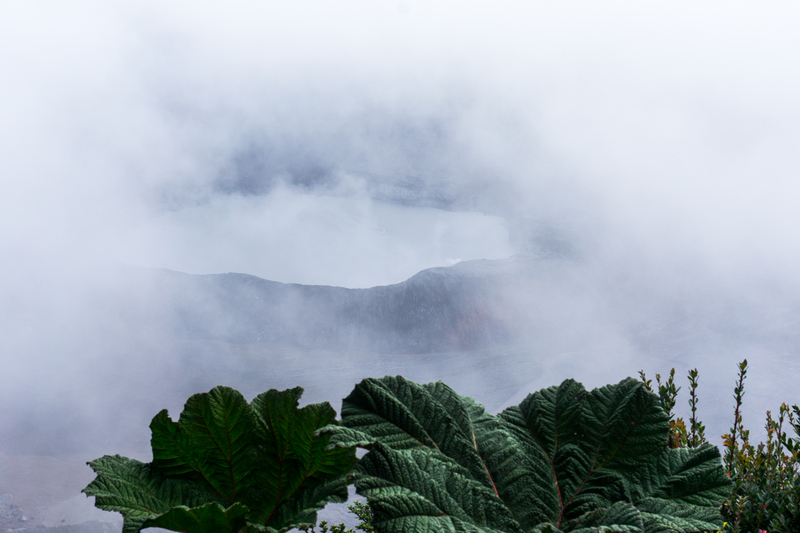 ), I realized it was still only like 9:30 in the morning and I had nothing else planned for the day, so I walked back to the crater so I could at least “get my steps in” as they say. It was like this for about six seconds before returning to windy and no visibility. But, hey, I wasn’t there for the longitudinal experience, I was there go get one clear photo of a crater with a lake in it. And for the exercise. By that time it was 10:30, so I figured I should go to the La Paz Waterfall Garden. 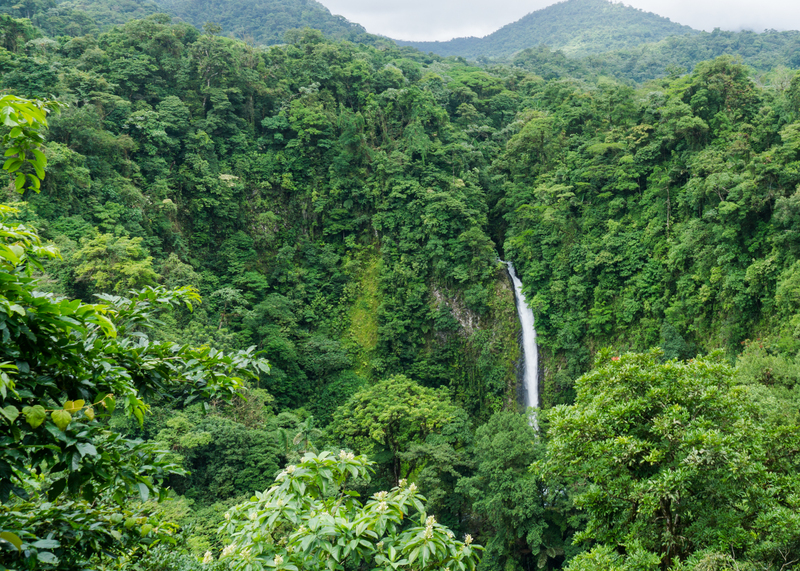 It’s this place with butterflies in cages, jaguars in cages, hummingbirds who choose not to leave of their own volition, and three privately-owned waterfalls. It cost, iirc, $60. Yes, US dollars. Nice waterfalls, though, the giant, curved-beak hummingbirds were cool, and, hey, at least the employees were friendly and happy to be there. And it costs less to visit than the far less enriching Biltmore Estate (which is now, inexplicably, $65, despite being the unfinished vanity project dwelling of a trust fund kid). There are actually three waterfalls there in slow succession, so it’s really just $20 per waterfall. Next day, I… I think I just hung out at the house. I found the place via airbnb, and that part of the experience was all good. 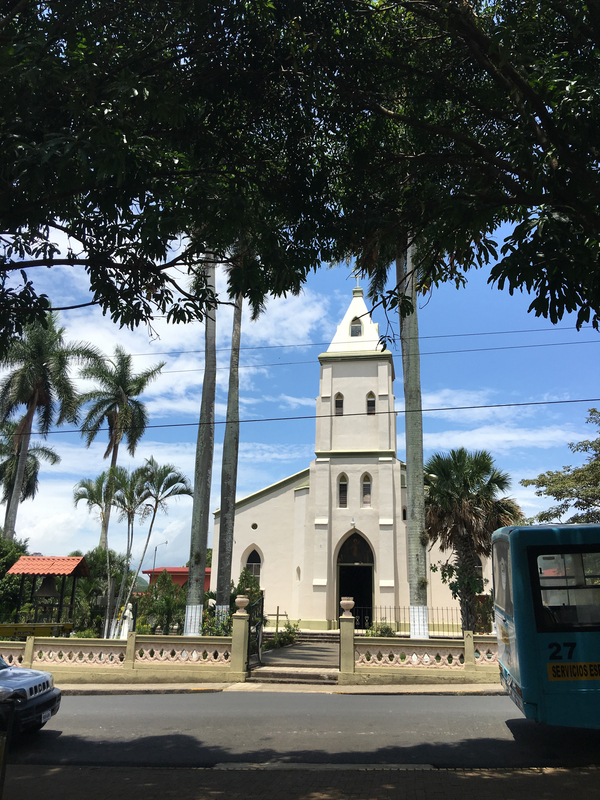 I was basically renting the granny flat of a Canadian expat couple from Calgary who had been living in Costa Rica full-time for a couple years. Really nice people, interesting insights into the expat lifestyle; I would do that again. (The lodging was also pretty inexpensive at ca. $40/night.) 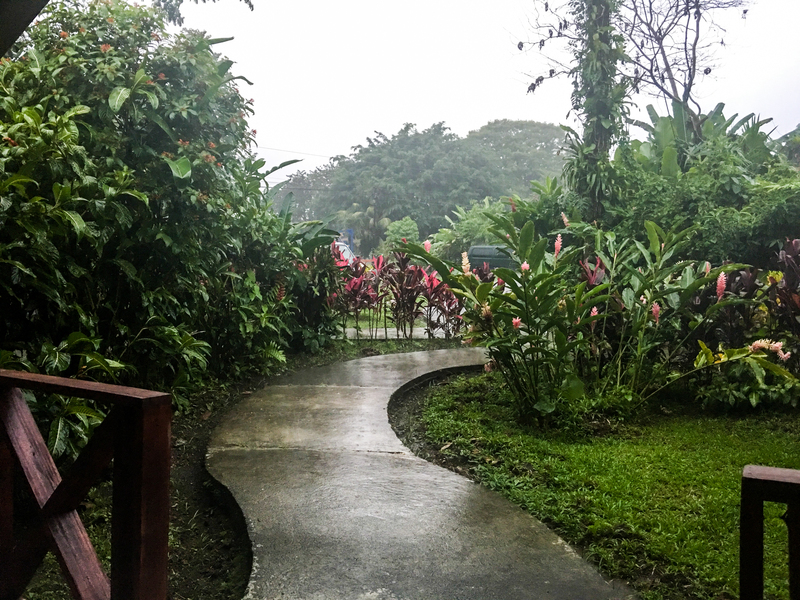 If I went again I would 10/10 rent Costa Rica villas that were nicer to make my experience of the holiday greater. Where by “this” I’m referring to a Catholic church surrounded by topiaries. Was something I’d never seen before. It rained that day. This all happened in July, which is part of the rainy season there. Here’s an article from NPR about the guy who does the topiaries. After that (hours? days? 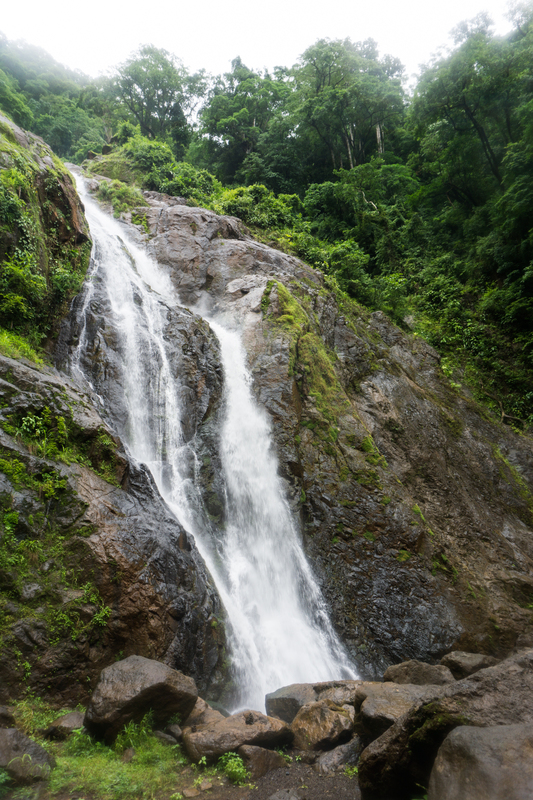 ), I took a drive out toward the coast to visit another waterfall that promised to be a “real hike” to the Catarata Bijagual. 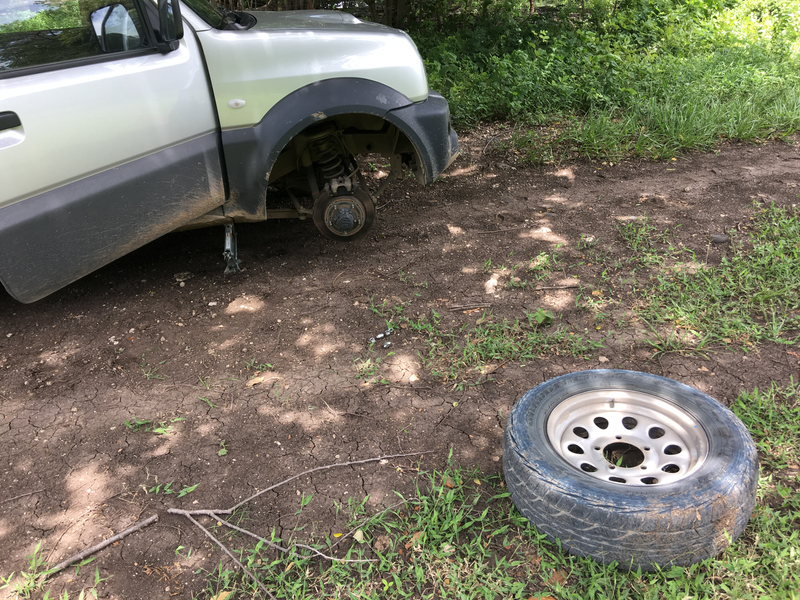 This being Costa Rica, you have to drive several miles up a rutted dirt road, park, then pay some dude $25 in order to use the trail (but, you have access to your choice of walking sticks for the journey). It’s a tougher hike than it ought to be. It’s hot and humid, the track is slick, and there’s a lot of up-and-down (including one spot where you’re effectively lowering yourself on cables for about 10-15 feet). The catarata itself is all right. I think you’re also paying for the guy to watch your car for you maybe. On the way back, I stopped near the bridge in Tarcoles. This was the most interesting wild animal-viewing experience I had. Not because they did a lot. 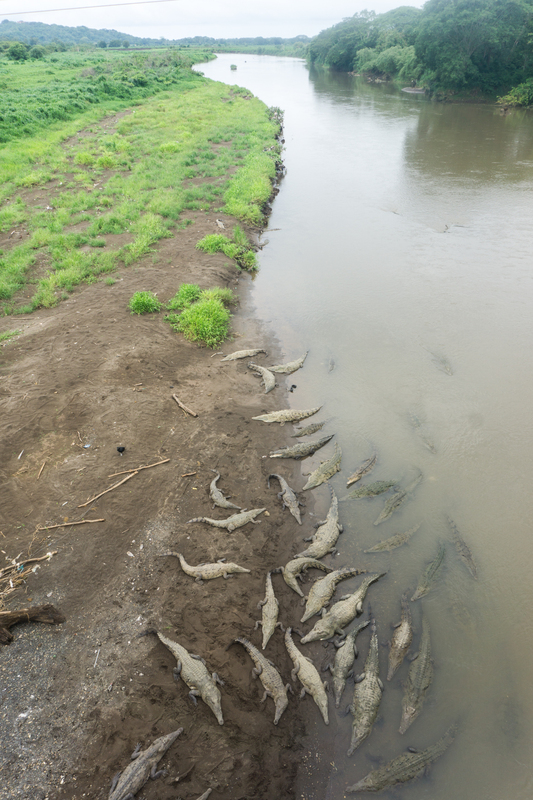 Just because they are wild crocodiles and very large. Because it’s what they have in Costa Rica, at some point after the crocodiles I visited Parque Nacional Volcán Irazu, which actually required me to drive through San Jose, which is a place that really could use a few more road signs since its highways don’t actually intersect. I don’t so much love Oklahoma, but doggone it, at least our highways intersect. 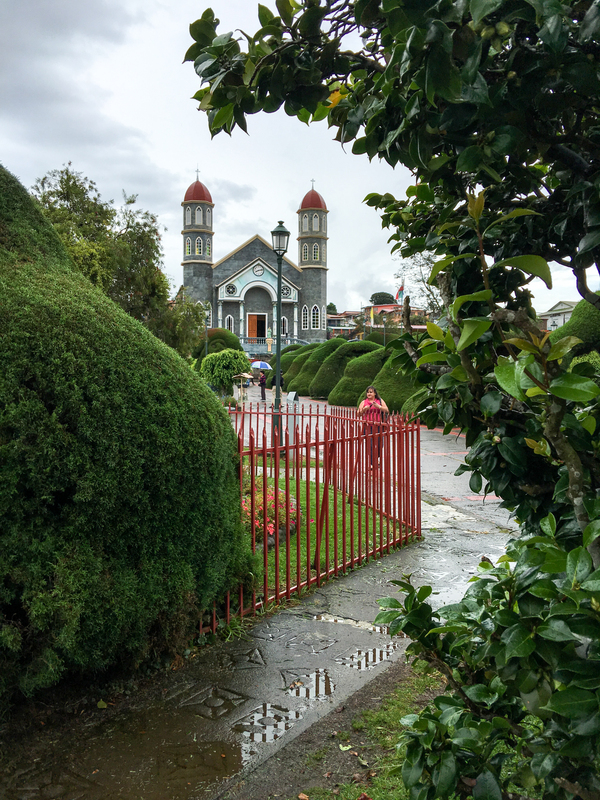 Irazu was colder and windier. There was no lake in the crater. There was a sign there that looked like this. This park also cost $25 to get into. I then drove out to the town of Orosi, which was a little oversold in the guidebooks. 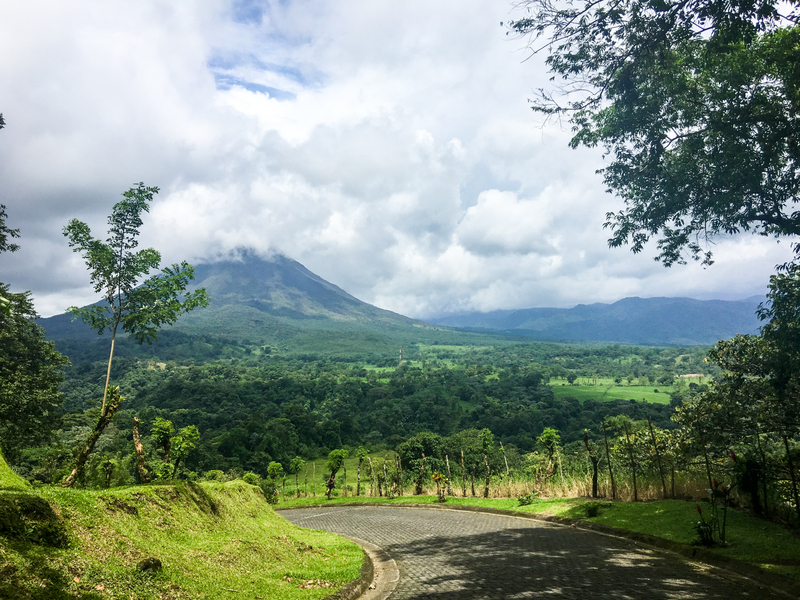 It was a nice enough valley, but there are plenty of nice enough valleys in Costa Rica. The outstanding thing about Orosi was the little soda (small restaurant) I went to, that had the best comida tipica in the country (that I ate). Two good-natured women run it (which seems to be the typical set-up in Costa Rica). It’s on the left side of The One Street most of the way through town. Good luck. Athenas was kind of a ramshackle little town in the way that almost every town in Costa Rica seems to be a ramshackle little town. Friendly and non-threatening though, and given its proximity both to the central valley and the coast as well as its willingness to keep it real (it doesn’t come across as a tourist or expat town), I could see why my host family had chosen that area. Then I left the central highlands to go to the touristy places. Drove up to La Fortuna and, right off, hit the La Fortuna Waterfall. Which, once you get down to the waterfall, is just swarming with semi-inebriated college-age individuals, bless their hearts. I think that cost another $50. And there was only one waterfall. La Paz was such a value. 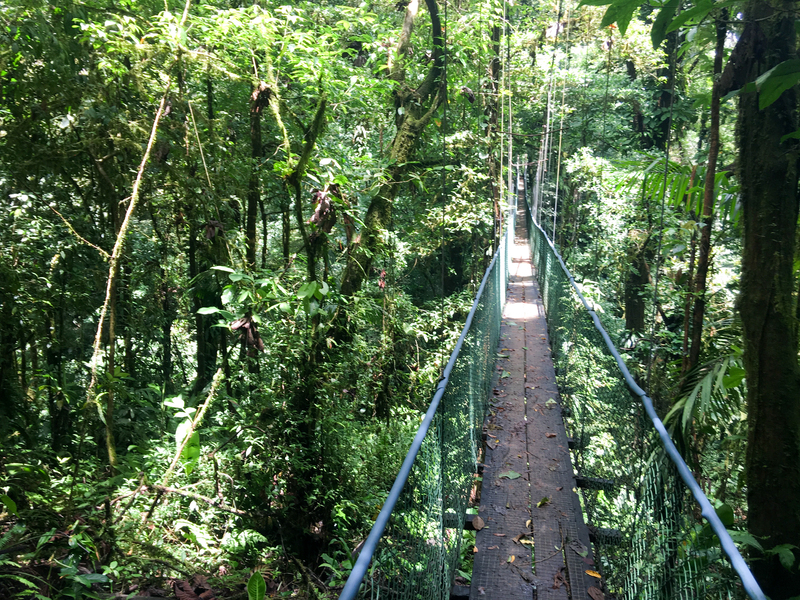 Some time thereafter, I went to an, I dunno, ecological reserve?, to do a hanging bridges jungle hike. Saw no animals, but definitely saw bridges and a jungle. There was also a waterfall here (not pictured). The reserve was called “Mistico” for some reason and only cost $24. Other times there are more clouds. It didn’t always rain. But often it did. The owners of the hotel were the only people in the country nice enough to try and have a conversation with me in Spanish. It almost worked. 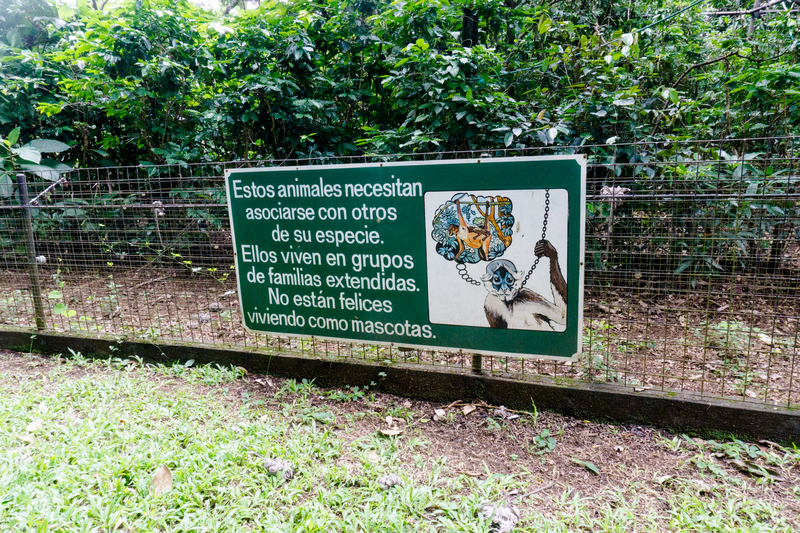 I also went to the Parque Nacional Arenal, which was another place. They had some views of the volcano and another jungle hike. 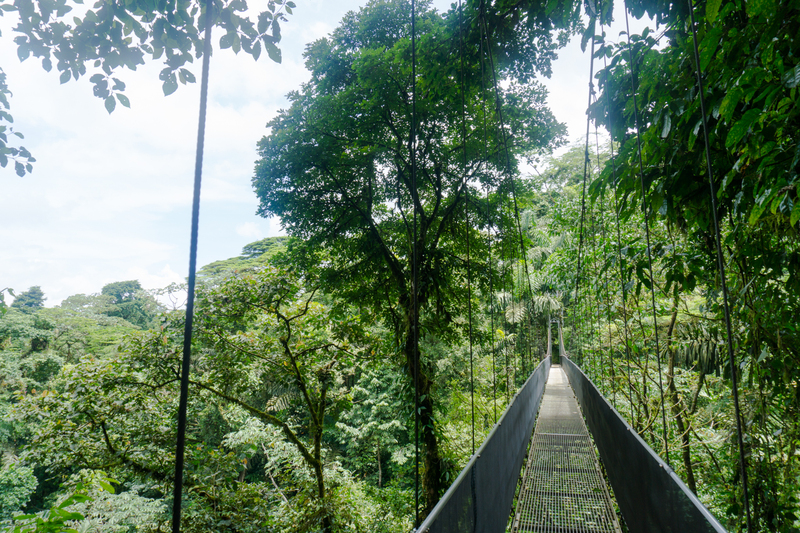 A lot of jungle hikes in Costa Rica. They all pretty much look like trees. I took this picture there. 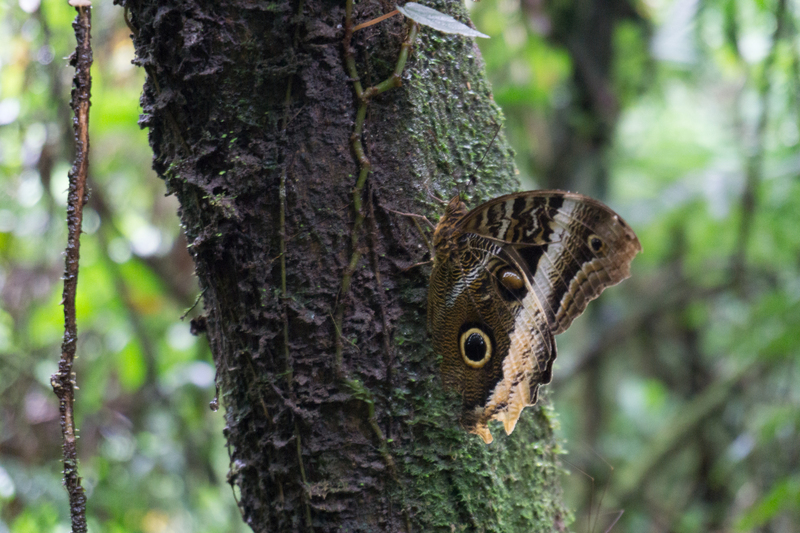 It’s one of those butterflies that tries to look like an owl. I was not fooled. 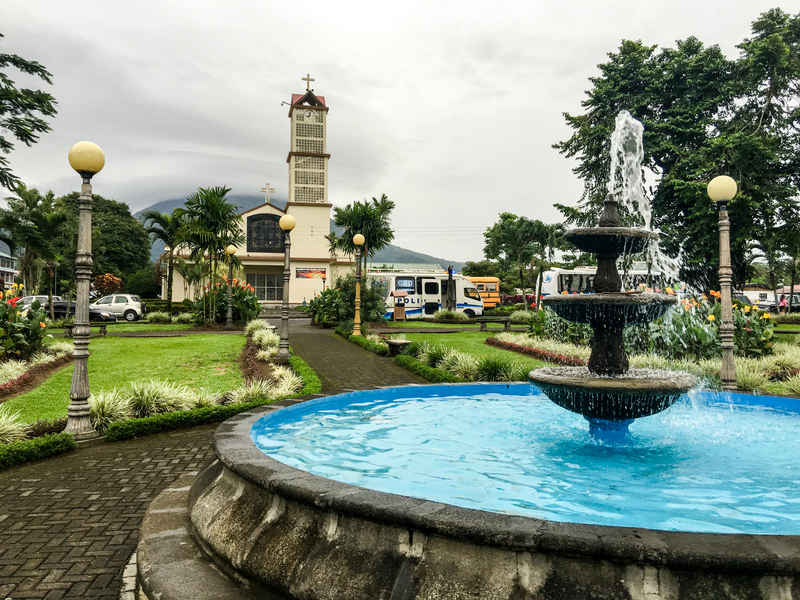 Later, I walked around La Fortuna and took this photo. That town was indeed touristy. Food was just okay. Weather: overcast and sometimes rainy. Then I ended up driving to my final hangout in… I can’t remember the name of the place. Bijagua apparently. 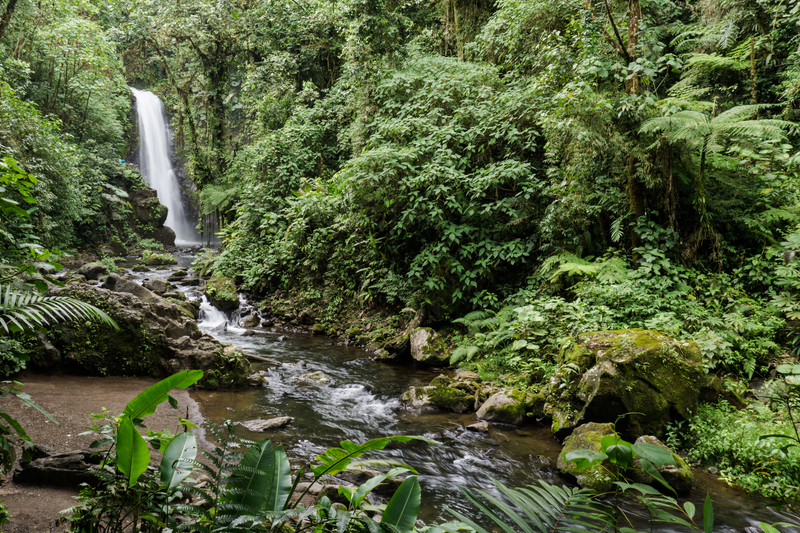 It’s near the Tenorio National Park, which is where you find the Rio Celeste, which looks really pretty in the photos. But it was way too rainy while I was there and so I didn’t ever go. I did take one more hanging bridges trip, though. These bridges were much higher, much longer, and much sketchier. I think the one pictured above is the one where I had half a mind to just give up and die of starvation when I was about halfway across. I didn’t, though. I persevered. The bridges shake a lot. That wood is old and looks rotted out. I don’t really like heights. The vehicle is a Suzuki Jimney, for the record. It was terrible. Seriously, though, this was the one time on this trip where I felt like I was doing something interesting. I was 50 miles from the nearest town, no pavement, no humans, pulled over on a dirt road changing a tire. Absolute bliss. I think the national park is mostly for birdwatching. I only saw buzzards, which — well, that was good too I guess. Then, after that, the place I was staying called itself a “farm” and offered “farm tours”, which included an old dude with Parkinson’s (Jesus) walking around trees pointing out plants and sloths, then taking you to their frog and butterfly enclosures. 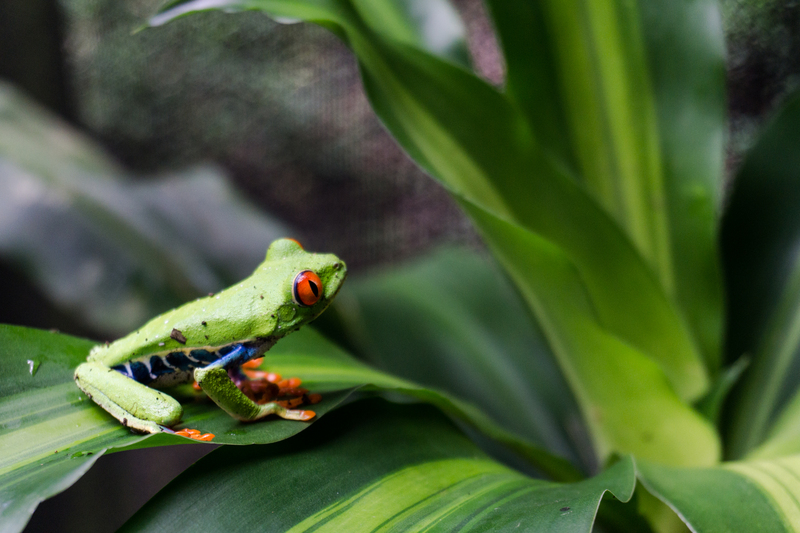 Jesus was a good dude, the sloths were cool, and the frogs were photogenic. Or at least this one was. And then I drove to the airport and they let me go back home. Which, unfortunately, meant going back to Oklahoma. Oh man. The people there are pretty decent and not burned-out-from-tourists like you’d think they’d be. The comida tipica was simple, but good and cheap. Driving there, once you got settled in, was actually kind of fun — a lot of pretty stretches of road. Drivers there are actually (IMHO) very good. Patient when they have to be (= most of the time), efficient when the opportunity presents itself. Even without Spanish skills, it’s an easy and non-threatening place to get around in. There’s no way to do anything worthwhile in this country without paying a guide or tour operator (I think). Apparently I should’ve gone to the beaches. This isn’t a great solo tourist destination, I didn’t feel very safe after I learnt about an american body found in costa rica. And it’s also not great if you prefer DIY-style adventuring. I really wasn’t very productive working from another country. Your photos are amazing. Your commentary pretty good. And I wouldn’t have had half as much fun as you did as I would probably never be willing to fork over all that money. I think you win. I’d rather still have the money.